One of the best presents you could ever get me is just a basket full of West Virginia goodies. 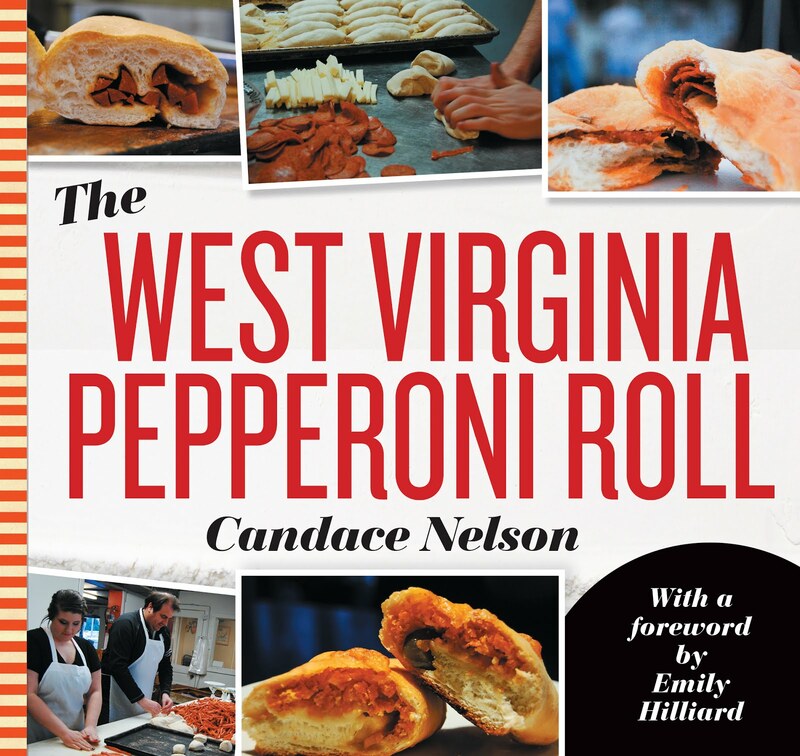 I love West Virginia products, like Appalachian Mountain Specialty Foods. They have a variety of sauces, like Zest Sauce, The Real McCoy Mustard Sauce, Uncle Roy's Old Fashioned Ramp Dressing, Orange-Berry Basil Salad Dressing, and Old-Fashioned Wilted Lettuce Salad Dressing. Plus Copperhead Bloody Mary Mix, Old Fashioned Pickling Brine and Mason-Dixon Mix'N Glaze. Veronica Stover couldn’t stand to see her favorite salad dressing just disappear. For years, Veronica and her husband, Greg, had enjoyed a Wilted Lettuce Salad Dressing — made in Sandyville by the West Virginia-based company, Appalachian Mountain Specialty Foods. But one trip to get some more of their favorite dressing in 2013 changed everything. That night, Veronica pitched her idea to Greg: She wanted to purchase the company. Greg agreed, and the rest is now history. Today, the Stovers own and operate Appalachian Mountain Specialty Foods from a 30-by-60-foot facility in their hometown of Spencer. Carlee brought me two different products: the wilted lettuce dressing and the ramp dressing. I have fallen in love with the wilted lettuce dressing. 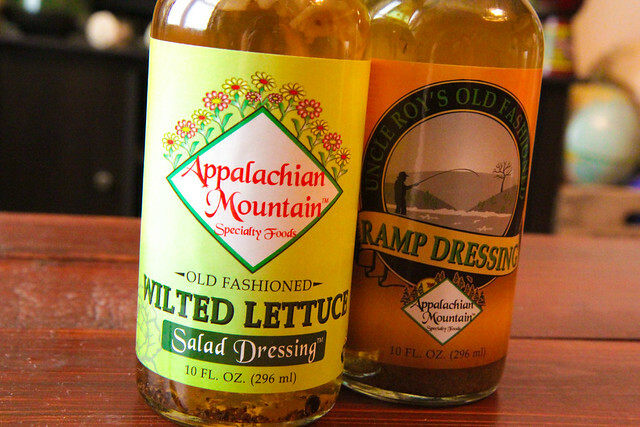 Carlee wrote: "Appalachian Mountain Food Service’s Old Fashioned Wilted Lettuce Salad Dressing is also a testament to an Appalachian tradition. The Stovers are both West Virginia natives who grew up eating salad with wilted lettuce dressing. The dressing typically calls for bacon grease — however, their recipe uses canola oil instead, as a healthier option. They kept the recipe from the company’s original owners as a testament." A country dressing packed full of memories. This is the perfect blend of ingredients reminiscent of the old-style country dressing served at family get-togethers and Sunday dinners at Grandma’s. We took the best of Mom and Grandma’s recipes and added one healthy change – we exchanged the bacon grease for “heart smart” canola oil. Offering the same great taste, our Old-Fashioned Wilted Salad Dressing only contains 1 gram of fat – and it can served hot or cold. Our new, old classic complements any garden salad, pasta salad, bean salad, cucumber, and onion salad. A vinaigrette from the north side of the hills. 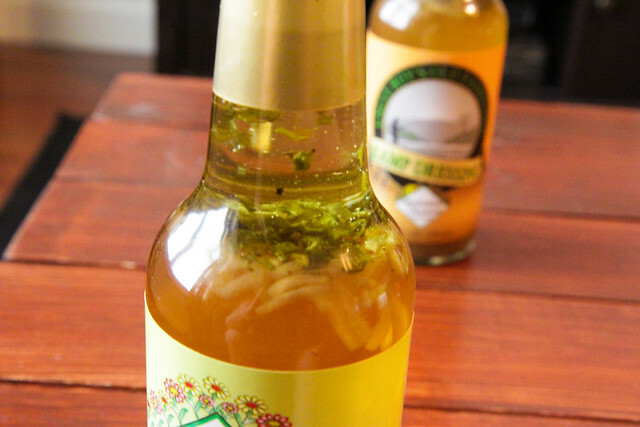 This lite vinaigrette is a blend of canola oil and vinegar, infused with the unique flavor of ramps, which are a seasonal delicacy in the Appalachians. This blend offers the perfect amount of ramp flavor in heart healthy vinaigrette. Ramps, or wild leeks, grow wild in the Appalachian Mountains. This springtime delicacy only grows in certain areas, under certain conditions and are usually found on the north side of the hill. The location of ramp “patches” can be closely guarded family secrets handed down from generation to generation. Uncle Roy hunted for ramps most of his 94 years and we wanted to honor him by naming this dressing for him and lending it the ramp flavor that he loves. Both are SO good. If you have a chance to grab some of these products at your local store, do it. Check out their recipes and support this family-owned business. Remember a piece of Appalachian food culture. For more information on Appalachian Mountain Specialty Foods, visit www.zestsauce.com.